Discussion in 'Community Announcements and Events' started by Lunarea, Mar 22, 2017. RPG Maker is featured in a fantastic sale over on Steam, and we’re ready to celebrate with you! Whether you’re a seasoned veteran or completely new to RPG Maker, we want to challenge you to get those developer thinking caps on and create something maddeningly fun. Our March Madness Mini-game Contest is your ticket to adventure, challenge and fun! A mini-game can be defined as a game-within-a-game. It’s that quick burst of fun activity you can play again and again to get different rewards. Examples include card games, casino games or a fishing bonanza – all meant to provide your player with an interesting way to take a break from the story and win some unique prizes. 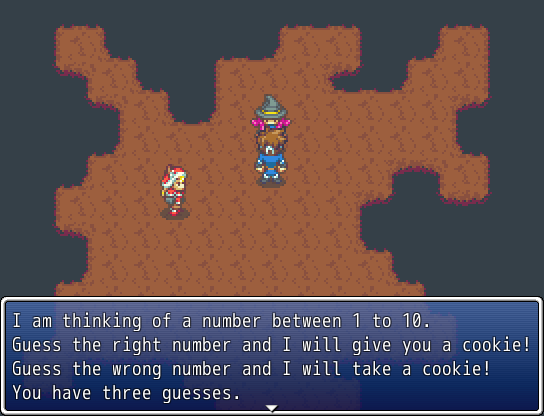 We’re challenging you to create a fun mini-game in RPG Maker! All participants will receive a nifty forum trophy, and our top 3 winners will get their choice of RPG Maker or RPG Maker DLC! Winners will be chosen based on creativity, effort and fun. - Create a mini-game using any RPG Maker program. - DLC are allowed, but please be sure to encrypt your mini-game to abide by the packs' EULA. - You may use any graphic or audio resource, as long as it's safe for commercial use and it does not breach any existing copyright or trademark. - Your entry can be shared in this thread, as a downloadable link. Please use a reputable host (such as dropbox) that does not have the potential to introduce malware or viruses. - You may post a screenshot or a short video of your entry as an introduction. Dalph, dragoonwys, SwiftIllusion and 8 others like this. Yo, this is possibly the best contest here I've seen in a long time. At least the most fun for me anyway. Can you submit a mini game you've already started, or does it have to be completely fresh? Perfect Timing, I was just about to start working on a mini-game. I just hope I'll have time to get it ready before the event is over. RocketKnight, Psyker and Marquise* like this. Very cool! Good luck to all contestants! Yes indeed. That is exactly a week from now. Nice! Too bad that deadline is so soon, as I have many mini-game ideas and not enough time to implement them. Oh you know what? I am going on Steam spend that Christmas card on RPGMaker products! Susan, Gin and kenibatz like this. Just to clarify, we are only allowed to submit one mini-game? Or can we maybe submit more than one entry but win only once? Additional Question: Can we upload the mini-game on itch.io or on the Steam Workshop? Gin and Marquise* like this. i just did a minigame, where to upload it? just paste link here from dropbox? Sounds like a fun contest. I made a small entry for it in my spare time. Hope people will enjoy playing with it. 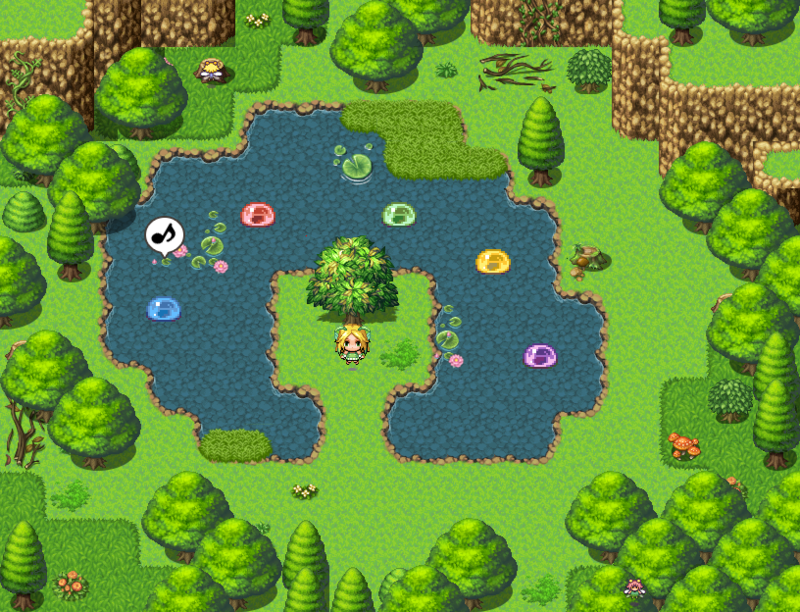 This simple mini-game is about memorising and selecting the slimes in the correct order of which they emit sounds. There are 3 rounds, and each one adds one more slime that needs to be memorised. Please note that I could not test the Mac & Linux versions. My apologies if they do not work as intended. The Stranger, Zheg, Marquise* and 4 others like this. Hmm. Something tells me I might be going overboard here. @HexMozart88 : I'm sure your entry will be very spectacular. The contest is supposed to be a fun event anyway. Marsigne and Dalph like this. That was very fun and nicely made too, it's a good memory training exercise. Marsigne, Susan and GoodSelf like this. @Susan I love memory games, those are lots of fun. 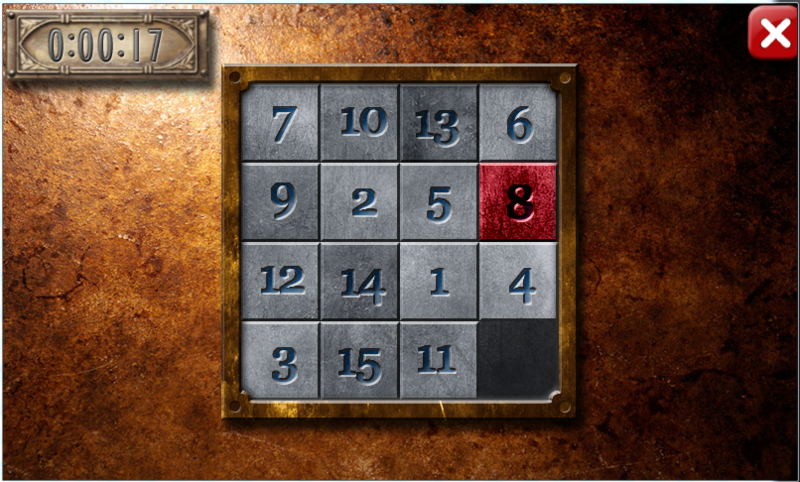 The classic 15 puzzle, i implemented this in one of my games, and you can win items like final fantasy I & II from the GBA. This is playable with only mouse, and can be played in mobile version aswell but, thats later. GoodSelf, Susan and Marquise* like this.